Consciously made and conflict free, we perfected the designs in our diamond solitaire collection to be understated and enduring. 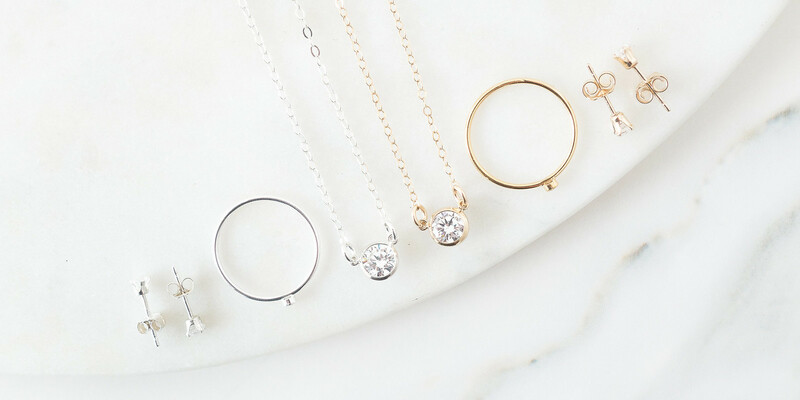 The jewellery that effortlessly works with everything in your wardrobe; a classic "wear-with-everything" diamond everyone can afford. Necklaces, earrings, and rings available. There is no way to guarantee a real diamond is conflict-free or ethically sourced. The effects of diamond production is devastating and has worldwide repercussions making them an unethical choice for accessories. 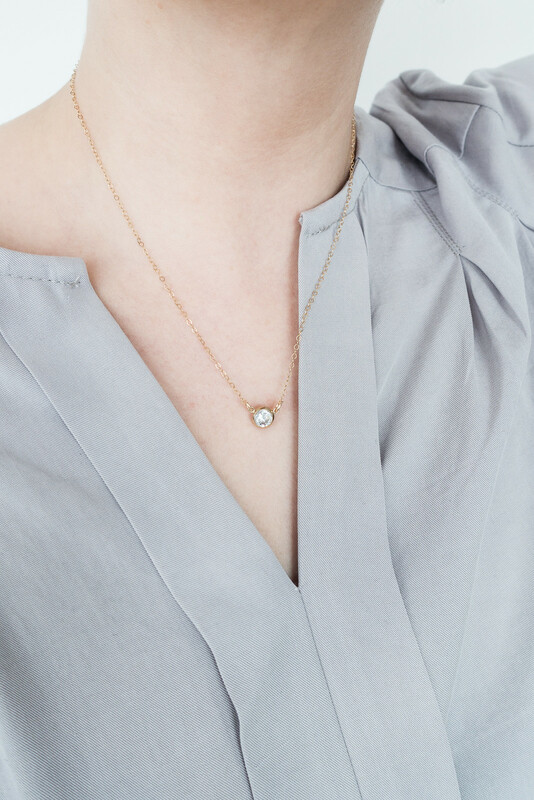 The simulated diamonds used in our diamond jewellery are 100% conflict-free. We chose to make our diamond solitaire range using cubic zirconia. Optically flawless, extremely durable, and visually identical to diamonds, cubic zirconia shines just as bright without the price tag. These simulated gems are produced in a laboratory with a high level of clarity to replicate a diamond both in style and quality but at a much more affordable price.